YELLOW RATTLE seeds 2018 harvest (rhinanthus minor) from Wildflowers UK. Yellow Rattle -Rhinanthus minor(also know as Hay Rattle) is a particularly interesting and attractive species that is useful when trying to establish wildflowers and increase biodiversity within a meadow. A semi-parasitic species, it draws nutrients through the roots of grasses and in doing so can help suppress grass growth. 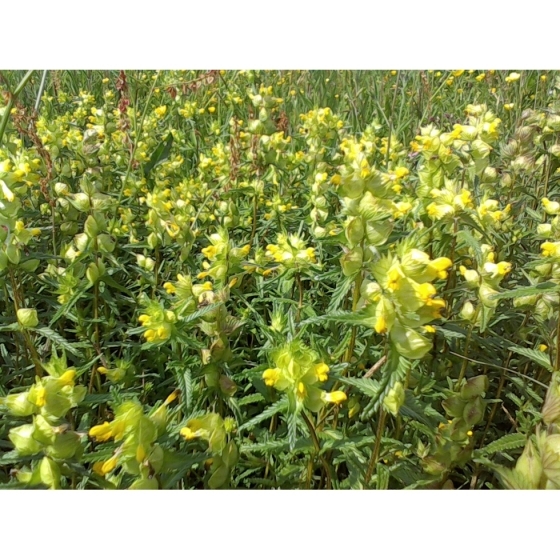 In the wild, Yellow Rattle grows in unimproved grassland and habitats include old hay meadows and pastures. It tolerates a wide range of soil types including those that are acid or alkaline but does need full sun in which to flourish. In gardens Yellow Rattle can be included in a summer wild flower meadow or flowering lawn where it attracts a wide range of insects such as bees and butterflies. Plants are low growing and have pretty yellow flowers that are at their peak by June. These are followed by papery seed cases. In a strong summer breeze, the seeds can be heard rattling inside, hence the plants name ! Yellow Rattle looks best grown alongside other summer flowering meadow plants such as Oxeye daisy, Musk Mallow, Meadow cranesbill, Knapweeds, Scabious, Clovers and Birdsfoot trefoil. Some alternative names for Yellow Rattle include Hay Rattle, Corn Rattle, Rattle grass, Rattle Penny, money grass, Penny grass and Baby’s Rattles. Yellow rattle germination can be significantly improved by sowing between August and December and through the use of fresh seeds. Seed can not easily be grown in trays without additional grasses so the preferred method is to sow directly outside either into existing grass or with meadow grass seeds. Prepare areas of existing grass by cutting as low as possible and then rake or lightly scarify the ground so that good soil contact can be achieved. Sow at 1gram per sq. meter and lightly roll or trample following sowing, to firm the seeds into the ground. Germination can be expected the following spring. Being an annual it is important not to cut or graze yellow rattle until the middle of the following July when it will have set seed. Prior to spring sowings the seed should instead be placed in refrigeration and chilled for a period of about 6 weeks. 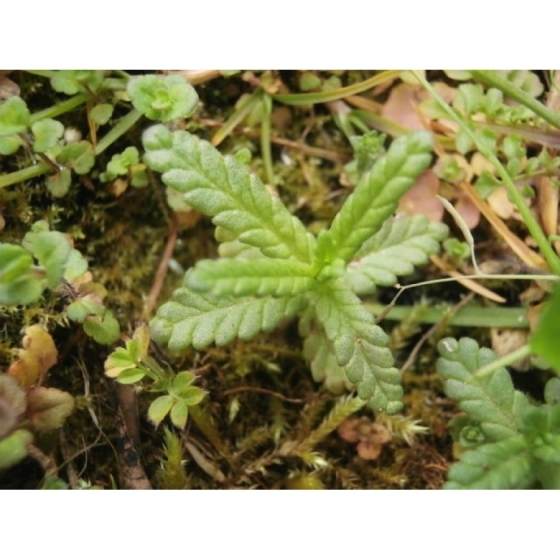 Once established Yellow Rattle will readily set seed given good conditions. 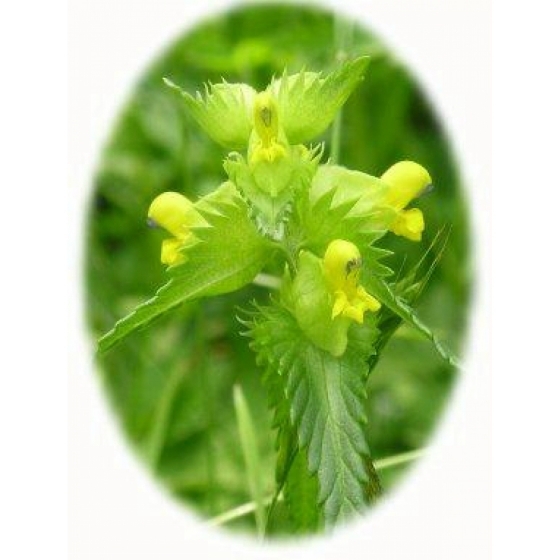 To purchase Yellow Rattle seeds, please select a quantity above and click add to cart. To ensure the best chance of success, we sell all of our wildflower seeds by weight, which ensures each wildflower seed packet contains a good quantity of seeds. The number of Yellow Rattle seeds per gram is approx 270 and recommended sowing rate is 1 gram per square metre. All of our Wildflower seed packets contain seeds of Native British provenance. 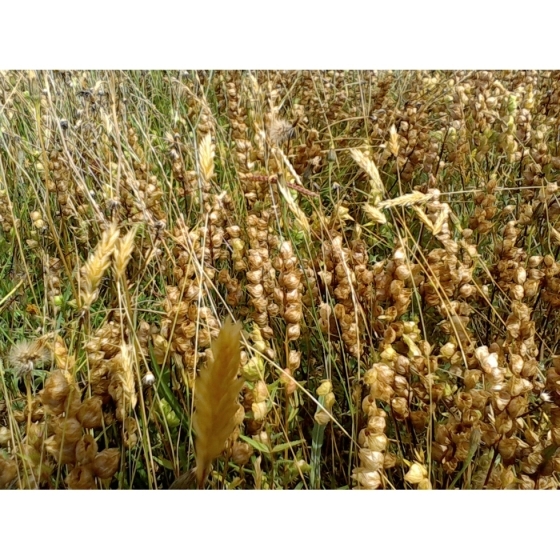 Newly harvested Yellow Rattle seed is normally available from about mid –August.